IPIT Services was really created in 1998 when Ian Parker started his first IT job. Ian has worked in science laboratories for over 30 years; 15 years in IT, supporting the scientists and, before that, as a scientist himself. The laboratories worked in the food and agriculture sector so he has an affinity and knowledge with the farming, ecology and wildlife areas as well as modern scientific analytical methods and equipment. Therefore, these areas, new technologies and current affairs are essential ingredients of IPIT Services. We used WordPress and the X-theme to create this slick new website for Ian. This is a multi-page website that makes bold use of icons images and colour to create a modern fresh looking website that has instant visual appeal and conveys a simple message to the visitor. 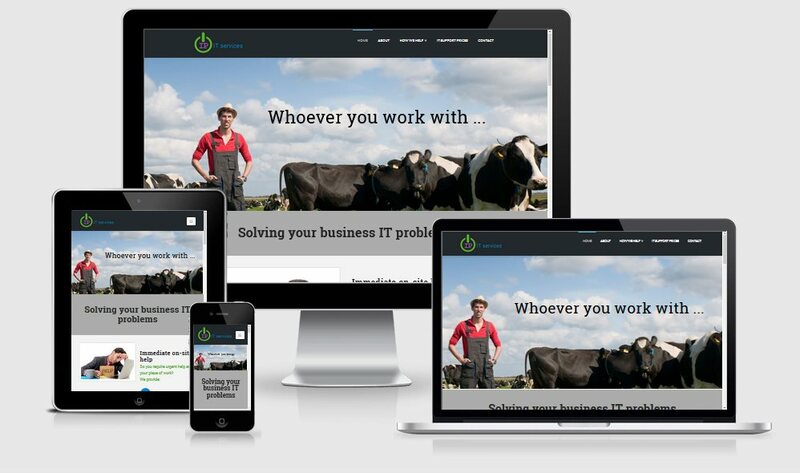 We make use of a large responsive slider on the home page to add to the high-end look and feel. Behind the scenes, we optimized the website for search engines, made sure it renders beautifully on mobile devices and set up a permanent redirect from other domains. This avoids any problems with duplicate content and keeps the search engines happy. Visit http://ipitservices.co.uk to view the website.